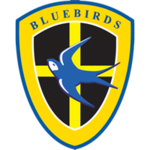 Cardiff City Football Forum | Cardiff City FC Messageboard • View topic - Did anyone listen to the phone in BBC Wales ? Did anyone listen to the phone in BBC Wales ? Yesterday. Some guy rang up and said straight away he was a Wales fan. Then he preceded to trash Cardiff in there performance yesterday. Now that’s fine and is his opinion but this is what he said. I watched the Wales game as it’s my number one sport but my Dad played centre forward For CCFC in the 30s and there performance was shocking. I am a PONENTIAL season ticket holder and if they want me to part with my money they have to do better. So the guy retorted back look not everyone lives in the south of England earning between 40 and 50K a year. My god the bloke was or is a grade A tw*t he commented on a game he never saw, he will only come and watch if we win most games, I know people on minimum wages that have a season ticket. £300 for a season ticket on interest free ain’t gonna break the bank ffs. Re: Did anyone listen to the phone in BBC Wales ? Nuclearblue wrote: Yesterday. Some guy rang up and said straight away he was a Wales fan. Then he preceded to trash Cardiff in there performance yesterday. Now that’s fine and is his opinion but this is what he said. I heard him. What a plonker. I also heard him while driving back from his he match. He said that he was from Dinas Powys,,, and I wonder if I s the same person from that area that once told me that he Supported Man Utd, but would buy a season ticket at City if Cardiff City were ever promoted??? Also accused the players of not giving 100%. Lots of callers ripped into him. Dont think he said another word in the show as nearly all the calls were about football. I heard the fool on the way home from the game, he claimed he was low paid and could not afford to follow football. If he is that poor why waste money on a phonecard to the programme.Rob Phillips and the other presenters should have ripped him apart. how come he wasmt just cut off. Yes, preferably at the neck!!! As you mention BBC Wales did anyone watch tonight's news bulletin at 630pm? I don't usually because its either taken up with items about our Senedd freeloaders down the Bay or a cat stuck up tree in Treorchy. They're quite a predictable bunch the producers if this third rate newscast - usual big piece on the egg which is fair enough but for the life of me how can they justify completely ignoring City's clash against the Foxes particularly given the blanket coverage from every other UK news channel (online/ TV / press)?! My question to BBC Wales Today is: if it was our friends down West who were playing Leicester in the aftermath of such tragic circs, would there have been a 10 minute slot on your shoddy excuse for a news bulletin? I'm sure it would have gleefully been covered. 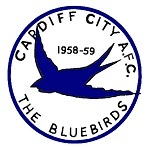 REMINDER: The Bloobirds are a capital city Premier League club! No coverage of their weekend games is a complete disgrace and shameful from a publicly funded broadcaster. Tuna Pasta Bake wrote: As you mention BBC Wales did anyone watch tonight's news bulletin at 630pm? I don't usually because its either taken up with items about our Senedd freeloaders down the Bay or a cat stuck up tree in Treorchy. What colour was the cat in Treorchy, as mine has been out a long time, scared by the fireworks. Genuine question. How the heck do you use emoticons on this forum!? Feel as if I'm posting with one arm behind my back! I'm more interested in the fact that there are apparently trees in Treorchy now. Is this true ?